Bosque School is excited to announce that Director of Diversity, Equity, and Inclusivity Ebony Booth has been selected as a W.K. Kellogg Foundation Community Leadership Network fellow. The W.K. Kellogg Foundation Community Leadership Network with the Center for Creative Leadership is an innovative fellowship for local leaders to connect, grow, and lead transformational change toward a more equitable society. Ms. Booth will be a part of a dynamic and diverse group of 80 individuals who are dedicated to working within our communities to build brighter futures for children and families. Fellow are organized in cohorts based in Michigan, Mississippi, New Mexico, and New Orleans—the Kellogg Foundation’s priority places—along with a national cohort. Ms. Booth is one of 17 Class Two Fellows representing New Mexico. The 18-month fellowship will provide hands-on training, personalized coaching, and practical experience. 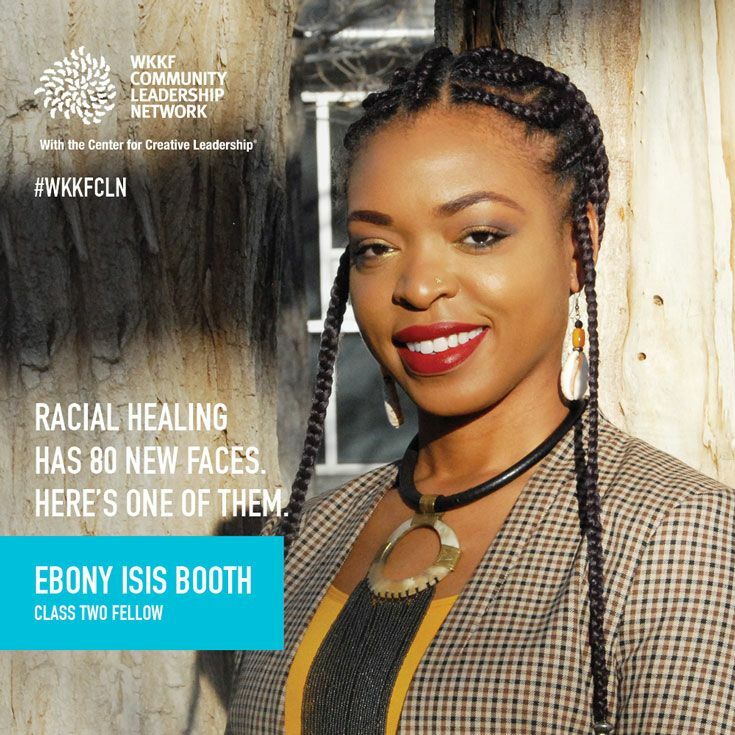 It will allow fellows to deepen their knowledge and skills to advance racial equity and racial healing in their communities and create sustainable solutions to the most pressing problems. Congratulations, Ms. Booth, on your selection as a fellow of the W.K. Kellogg Foundation Community Leadership Network!